Is MTN Trying To Start SIM Card Registration Again? 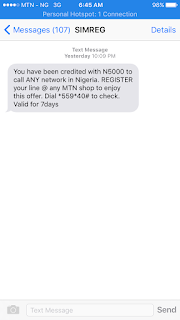 Imagine I received a message from MTN few hours ago telling me that i have been given free N5000 airtime but i have to go and register my SIM card before i will be able to use it. This is absolutely ridiculous! Even after participating in the previous SIM card registration on three different occasions. What is wrong with MTN? Not everybody have that time to go and start queuing on long line again just because of what he or she had already done before and forgotten. Am i the only one that got this message? 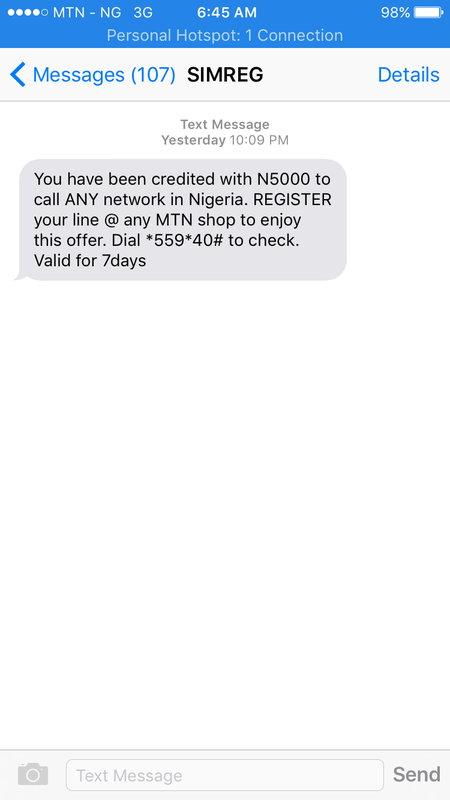 If you received this message also from MTN, kindly let me know by commenting on the comments box below.